Why accredit as a coach with the European Mentoring Coaching Council (EMCC)? We have chosen to accredit our coach training programmes with the European Mentoring and Coaching Council (EMCC), as we believe this provides the most rigorous professional quality framework for the accreditation of individual coaches and mentors. The EMCC exists to "develop, promote and set the expectation of best practice in mentoring and coaching across Europe and beyond, for the benefit of society." The EMCC is the largest Mentoring and Coaching Association in the UK and Europe, with over 5000 members across 20 countries and over 1800 accredited coaches and mentors in the UK. They now have a strong presence in the East Pacific and continually to grow globally. For more information about the organisation, please visit the EMCC website. Our programmes are accredited with the EMCC European Quality Award (EQA). This is the benchmark quality standard for mentoring/coaching training programmes, and it ensures that successful students meet the research-based competence standards presented in the EMCC Competency Framework. 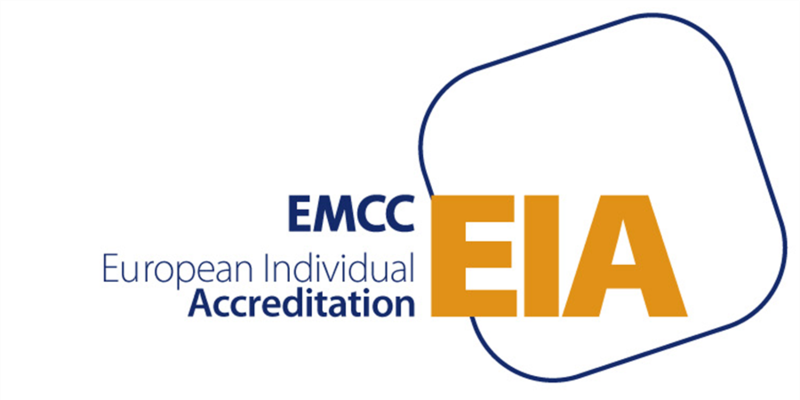 Our programmes also enable participants to achieve the European Individual Accreditation (EIA) award, who will either be completing the EMCC Foundation or Practitioner Level EIA as agreed during an on-boarding call with a Programme Coach. This will be dependent on your prior coaching and mentoring experience; and relevant criteria must be evidenced within your portfolio submission. You can download more information about the EIA assessment criteria here (PDF). If you have any queries about our EMCC accreditation, or the EMCC qualifications we offer, please don't hesitate to get in touch.